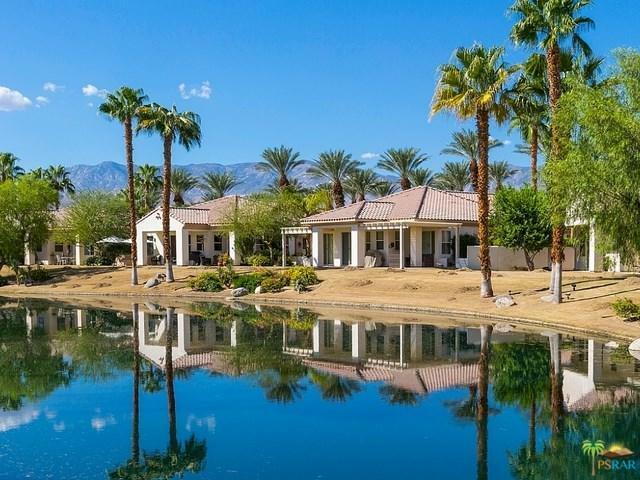 124 Lakefront Way, Rancho Mirage, CA 92270 (#17265832PS) :: Ardent Real Estate Group, Inc. This quiet and fully upgraded 3 bedroom and 3 full bath vacation home has its own private swimming pool and spa. The spacious living room features a large flat screen TV, a cozy fire place and many popular board games for you and your family to enjoy. This home has a fully upgraded chef kitchen with granite counter tops and is well equipped with everything you'll need to prepare wonderful meals. A comfortable formal dining area is just off the kitchen and a wet bar is just off the dining area. The master bedroom has a King size bed and a 43" TV", an ensuite bath with a separate jetted bathtub and a walk in shower. The first guest bedroom has a Queen size bed with a TV and has a direct access to the swimming pool area. Just right across from the first guest room is the second guest bedroom which has a Queen size bed and a TV.